Jan 21, 2019 in "Guardians of the Galaxy - Awesome Mix Live!" 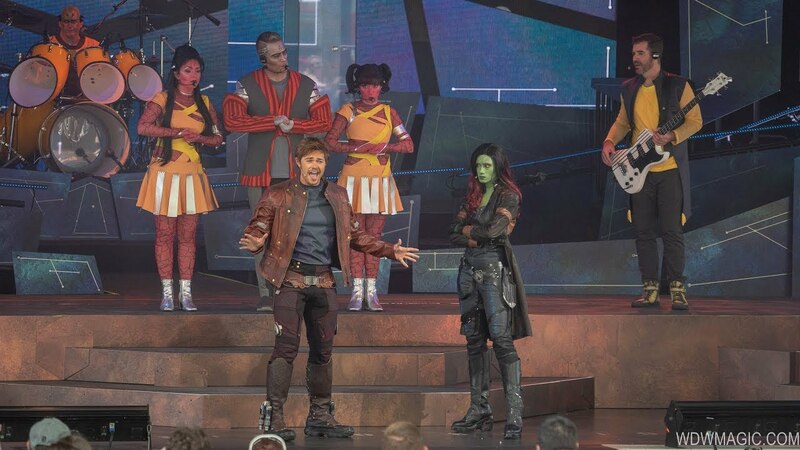 The show which debuted in 2018 features Star-Lord and Gamora in person as a 7-piece alien band brings many of your favorite hits from Awesome Mix Volumes 1 & 2 to life. This year's performance dates are June 14 through August 18 2019.